Ander Herrera has dedicated Manchester United’s 2-0 win over Burnley to Zlatan Ibrahimovic and Marcos Rojo. The pair suffered serious long-term knee injuries in the Europa League quarter-final against Anderlecht, and United players showed support for their teammates by wearing training kits with “Ibrahimovic” and “Marcos Rojo” printed on the back during the warm up ahead of the match at Turf Moor. 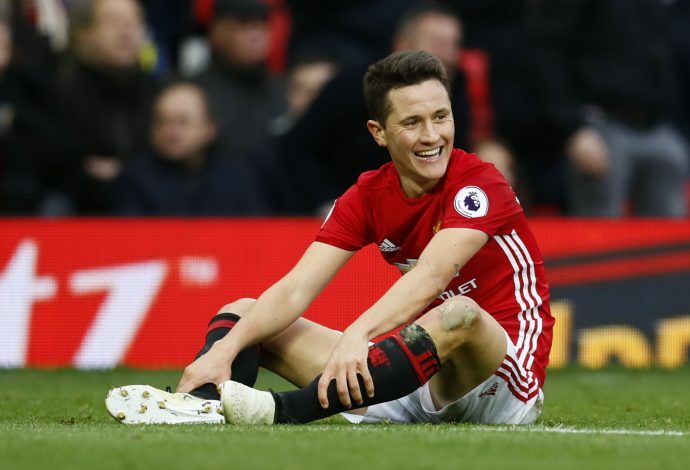 Midfielder Ander Herrera also mentioned the duo in his post-match interview, by stating: “I am happy that we could dedicate this victory to Ibra and Marcos. “They are now having bad moments. Ibrahimovic because he is 35 and has won everything, and played at the highest level for 15 or 16 years, and now it is the first time he gets a really bad injury and so we are really sad for him. 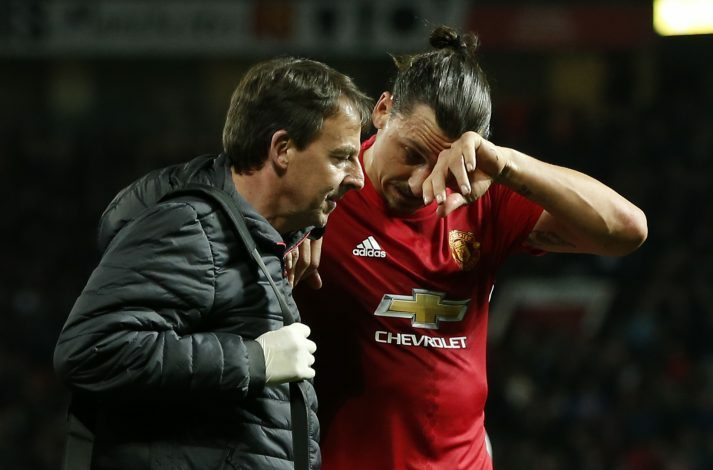 Ibrahimovic’s injury has come at a terrible time, as the legendary striker is in the twilight of his career, and such a serious injury has cast doubts over whether he will ever be able to play football ever again, let alone for Manchester United, given his contract expires in the summer. Herrera revealed that Ibrahimovic broke the news to the rest of squad during a training session before the Burnley game, and wished them the best of luck for the rest of the season. The midfielder also admitted that he believes the 36-year-old Swede will have no problems recovering due to his incredible physique. “It is true that he [Ibrahimovic] was down at the training ground yesterday and spoke to the group,” said Herrera. “But he did not say much, really. He wished us only good luck with the rest of the season. “He is privileged physically. His physique, his body, is one of the best I have ever seen, so I think it will be easier for him to get back than others. Of course he is 35, so he will have to work very, very hard and be very patient, but I have no doubt he will be back because he loves football, he loves to win, he loves to score goals. 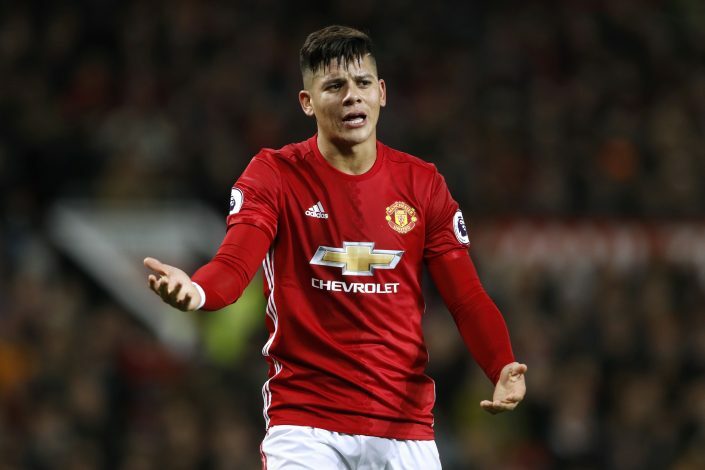 Marcos Rojo’s injury has also come at a bad time for him personally. The defender was often seen as a liability last season, and was tipped to be sold in the summer. However, he has proved his worth this season with incredible performances and has shown marvelous consistency. His performances also won him a recall to the international set up for Argentina. His absence will be massive miss for Jose Mourinho, as United approach the final few games of the Premier League and Europa League season which could determine whether they are present in the Champions League next season. “He was in the best moment of his career,” Herrera said about Rojo.